a key milestone in its effort to a more sustainable tomorrow. 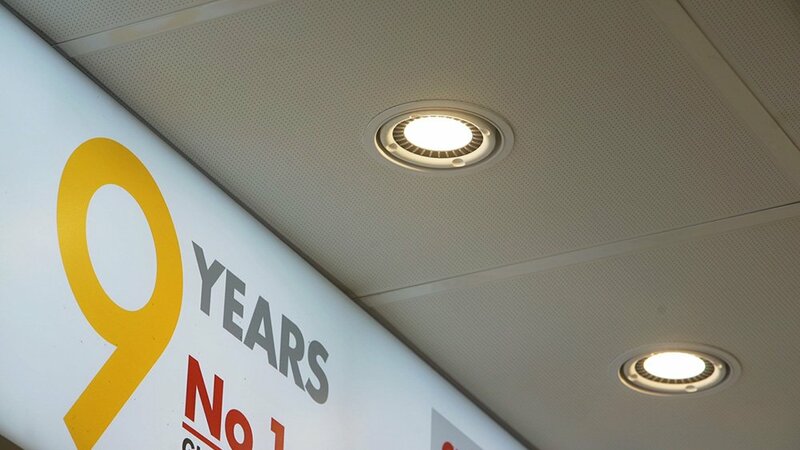 PETALING JAYA, 2 APRIL 2019 – Shell Malaysia today achieved another milestone in its ambition for a cleaner, greener future by being the first in Asia Pacific’s retail fuel industry to be awarded the Green Building Index (GBI) Certification. 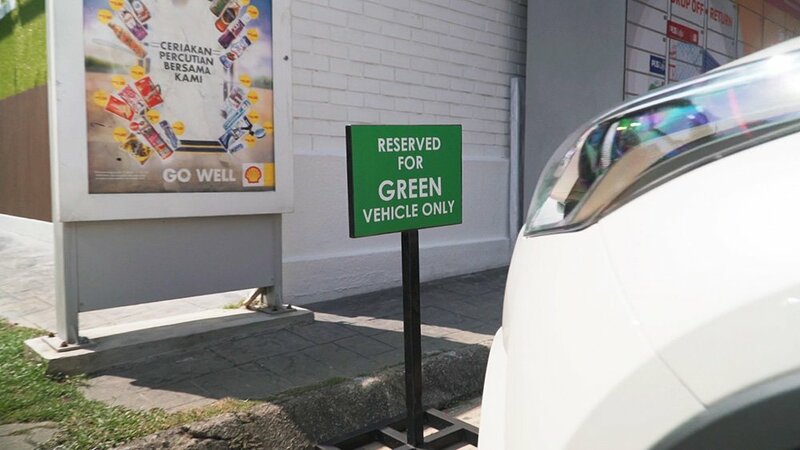 Two of its stations, Shell Damansara Jaya and Shell Taman Connaught are now recognised as ‘green buildings’. 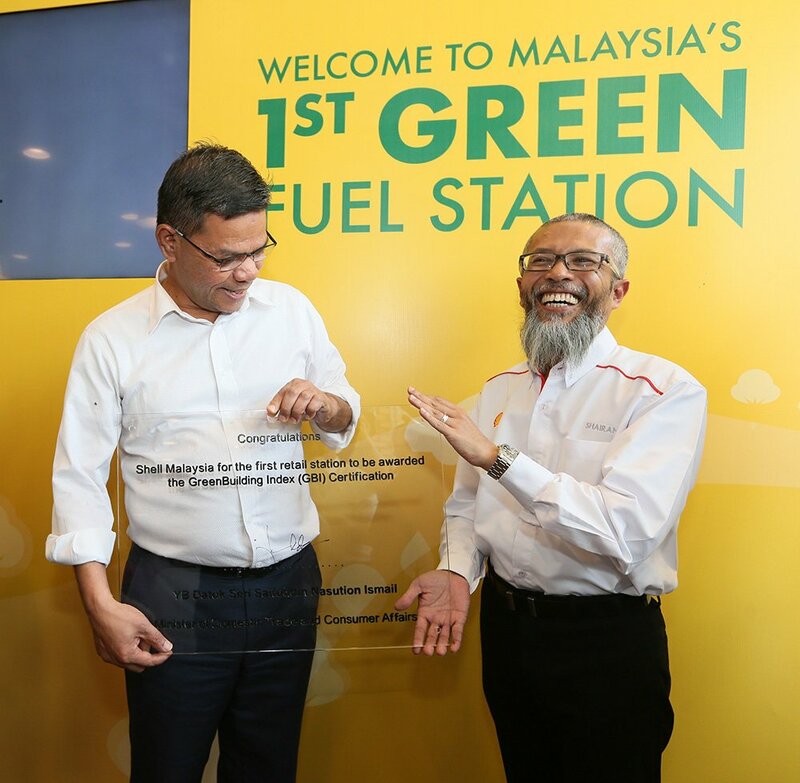 With the introduction of the new Retail Fuel category within the Green Building Index, Malaysia’s green rating tool to promote sustainable construction and buildings, it paves the way for the world of fuels to introduce more eco-friendly solutions at its stations. 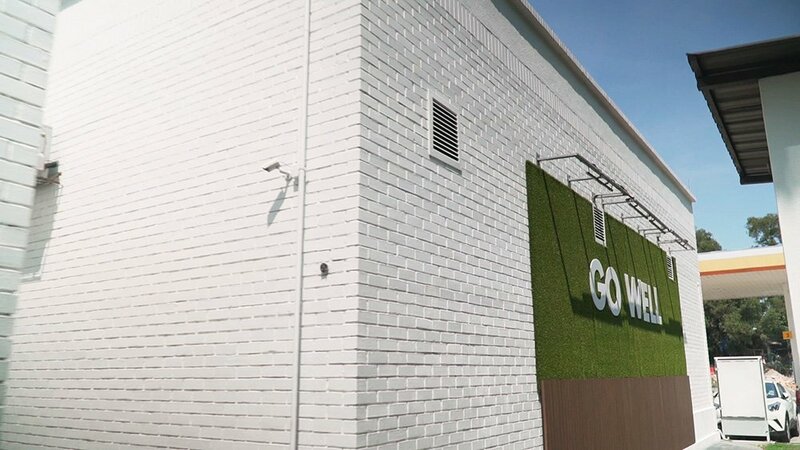 “When the new category for the Retail Fuel industry was introduced, we decided to put on our thinking caps to rethink and retrofit smart solutions and design elements into our stations. I am especially proud as we were able to achieve GBI Certification for these two stations within six months,” he added. 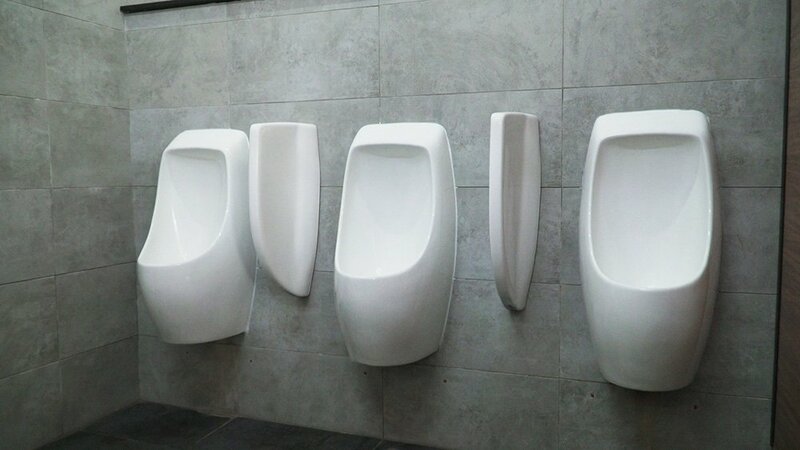 Some of the implemented GBI elements include the installation of a solar Photo Voltaic (PV) system to generate clean electricity through solar supplements, replacement of conventional bathroom fittings with waterless urinals and water saving taps, as well as monitoring systems that would alert the station of any consumption inconsistency to avoid unnecessary wastage of resources. 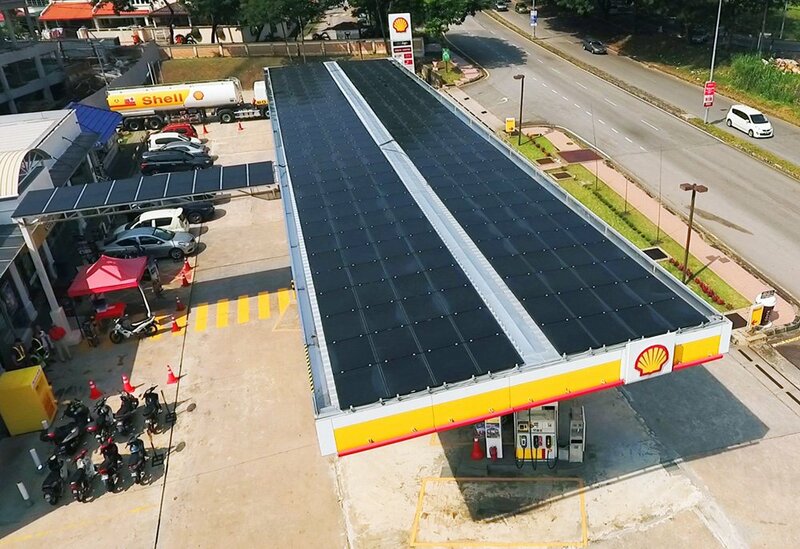 The benefits for Shell consumers are almost immediate, as they can feel the comfort of a cooler, well-lit station the moment they step in. “For the environment, these effects allow us as consumers to do the least damage and help us to be bolder in our care for the environment,” continued Shairan. “With the production and usage of energy so intrinsically tied to the planet’s well-being, we are looking at increased pressure on our resources. Therefore, there is a critical need for industry players to get more innovative in doing their part to balance both economics and ecology. 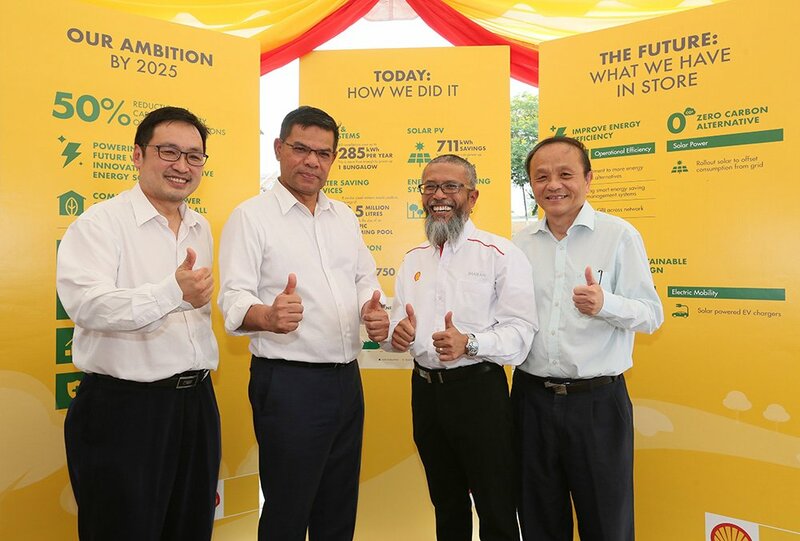 Congratulations to Shell for achieving this GBI Certification for two stations, showcasing the successful balancing of profit and planet when a company is truly committed,” said Datuk Seri Saifuddin Nasution bin Ismail, Minister of Domestic Trade and Consumer Affairs, Malaysia. The oil and gas company with a 128-year legacy in Malaysia aspires to achieve long-term sustainable, cleaner energy solutions. 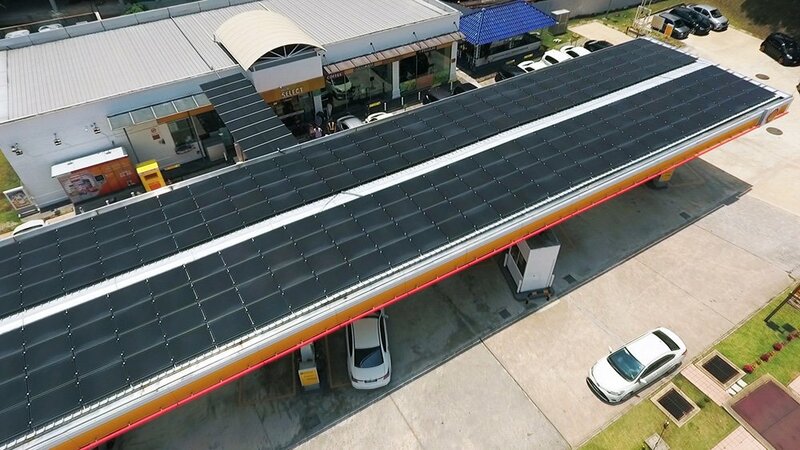 This is reflected in its company-wide operations initiative such as the Shell Eco-Marathon, right down to the range of products and services at its one-stop retail fuel stations. BMW Malaysia Introduces the All-New BMW 3 Series.